In a recording career that spans almost three decades and 23 albums, GRAMMY-Award winning saxophonist Kenny G will appear at the Thousand Oaks Civic Arts Plaza on Sept. 30 at 7:00 PM. Tickets go on sale Friday, May 18 at 10 a.m. and start at $51.00 via Ticketmaster.com. 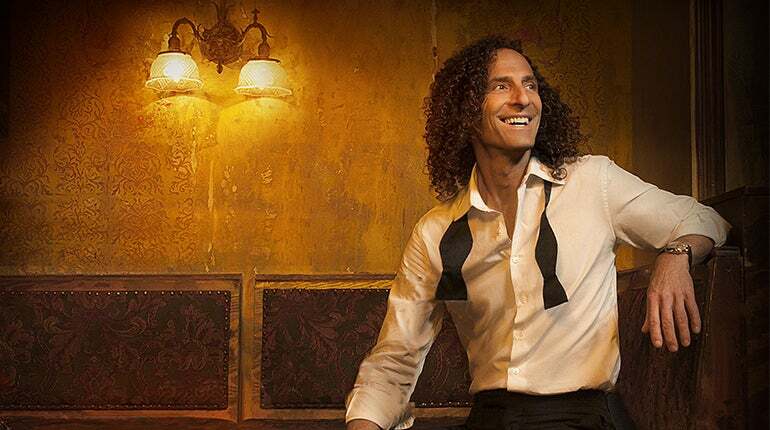 Since the early ‘80s, Kenny G’s combination of unparalleled instrumental chops and indelible melodies has resulted in sales of more than 75 million records worldwide (45 million in the U.S. alone) and more than a dozen climbs to the top of Billboard’s contemporary jazz chart. Other career highlights include Miracles, a 1994 holiday album that took him to the top of the Billboard chart for the first time and has since become the best-selling holiday album of all time. His two holiday albums since then – Faith in 1999 and Wishes in 2002 – have been similarly successful. At Last…The Duets Album, released in 2004, featured performances by Barbara Streisand, Burt Bacharach and LeAnn Rimes, along with a remake of Outkast’s “The Way You Move” with Earth, Wind and Fire.